Yes, cold is almost here. But the fact that there aren’t many flowers in the countryside, doesn’t mean that we have to forget spring inside our homes. 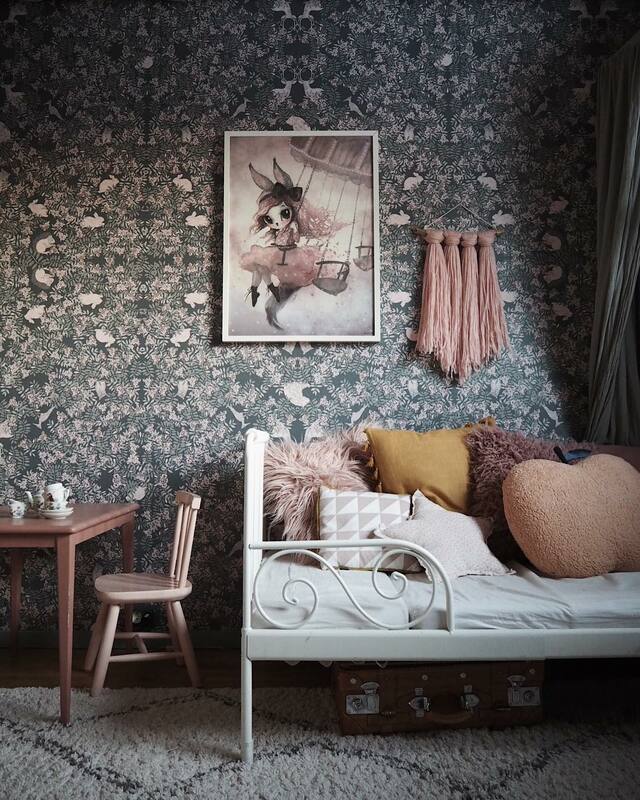 You can add flowers to every single room in the house, also in the kids’ room. We are not talking about using vases with flowers, although this is not a bad idea. 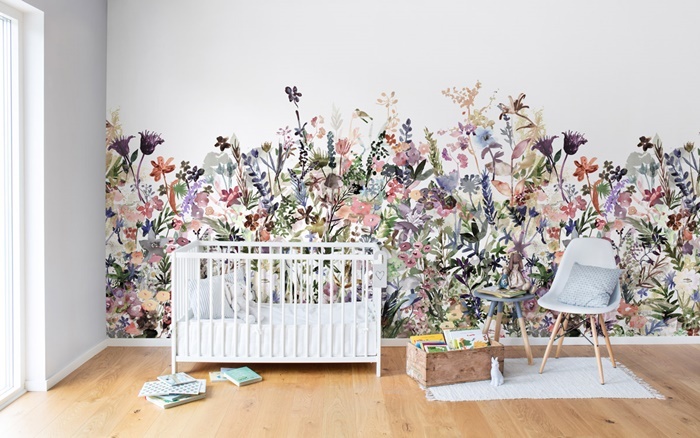 This time we are focusing on flowers wallpapers and this is a good option to decorate one (or several) several a kids’ room’s walls. 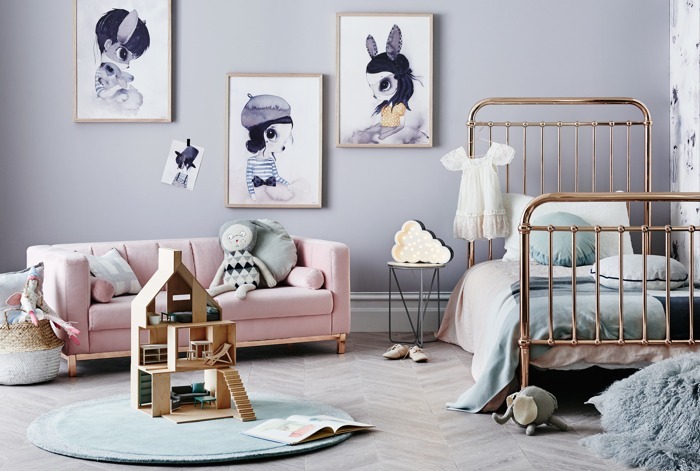 There are parents who don’t love colourful furniture, they prefer a white neutral one. 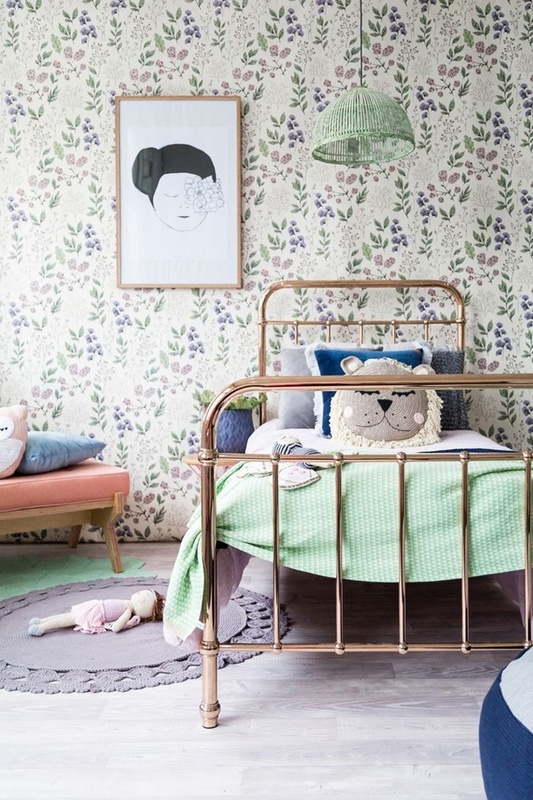 It’s not a bad idea considering that kids’ textiles and toys add big colour doses. Kids’ flowers wallpapers. 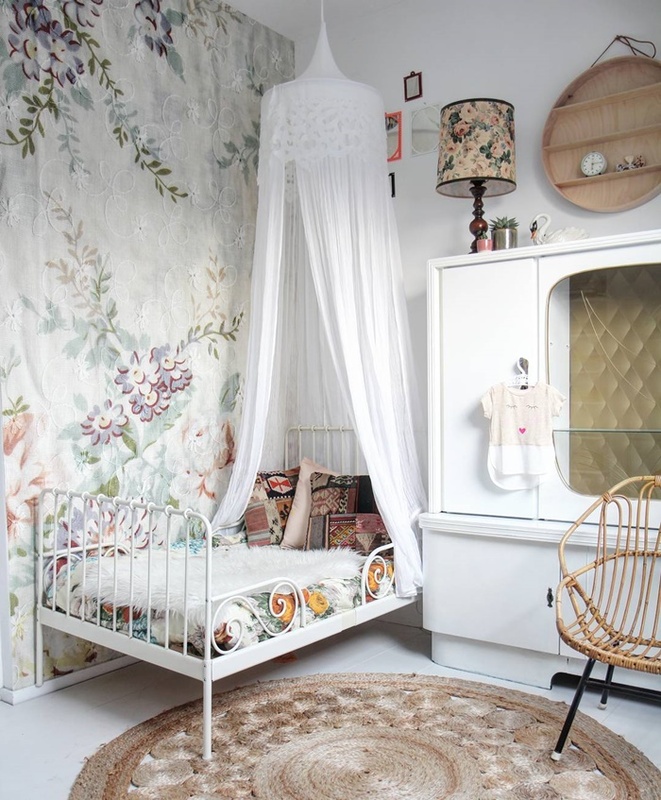 Just choose a wall (maybe place it on the bed’s wall so you can see it as soon as you enter) and cover it with flowers, it can be a great resource. Flowers add colour, fun and a different touch to the most neutral ranges of colour. 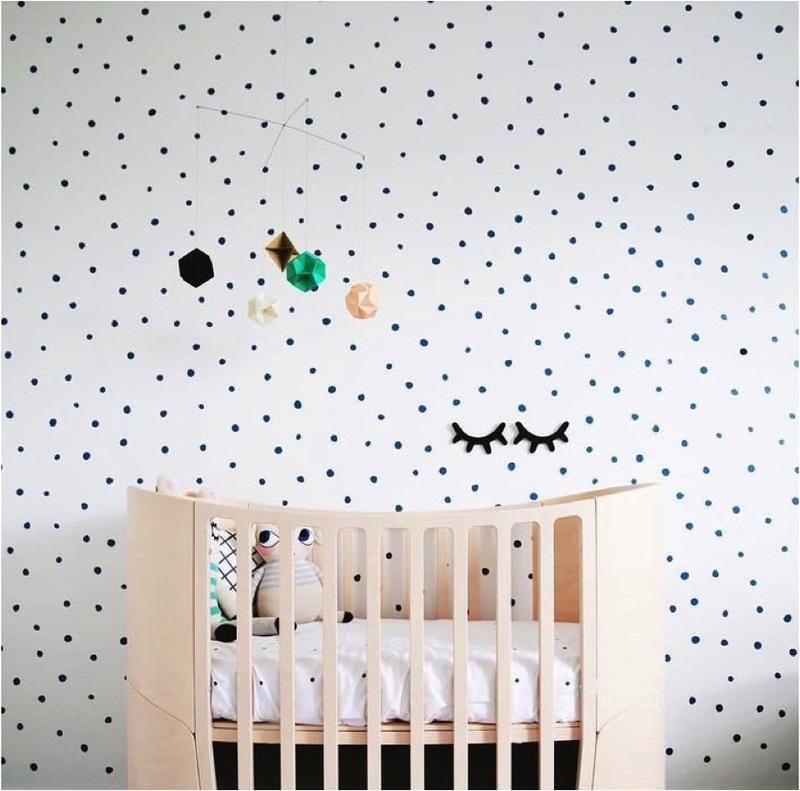 What about covering all the walls in the room? Big flowers can be too much but they are not forbidden. Everyone is free to choose their favourite. However, small flowers are better for these cases, darker colours and simple designs. Matching them will be easier as they don´t have as much personality. You are not discreet. Ok, you have fallen in love with a design full of big flowers and dark colours. No problem. 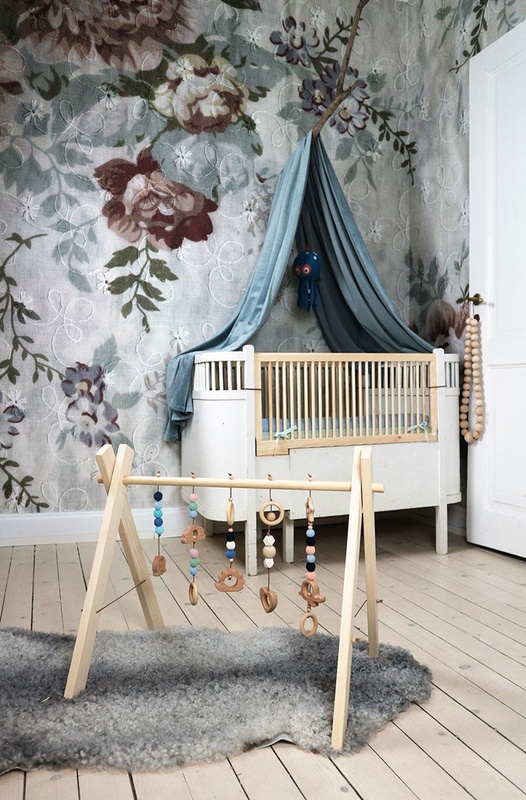 This kind of design is perfect for rooms with white and natural wood furniture. 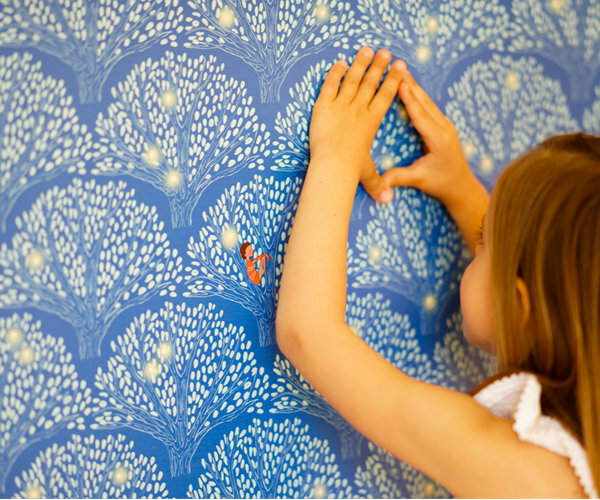 Pay attention, textiles must be matched with the main colour of the wallpaper. The effect is simply charming. This is one of our favourite options. Use only a half of the wall, plain colours are a simple success, as leaving the upper part white keeps the light in the room. 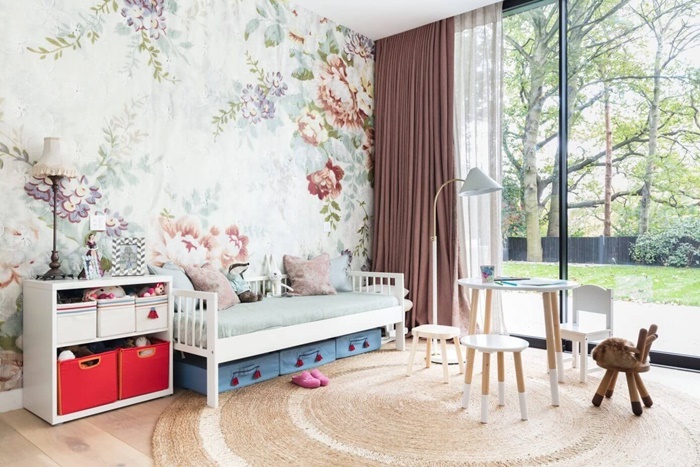 You can transform the kids’ room into a garden with this wonderful wallpaper.